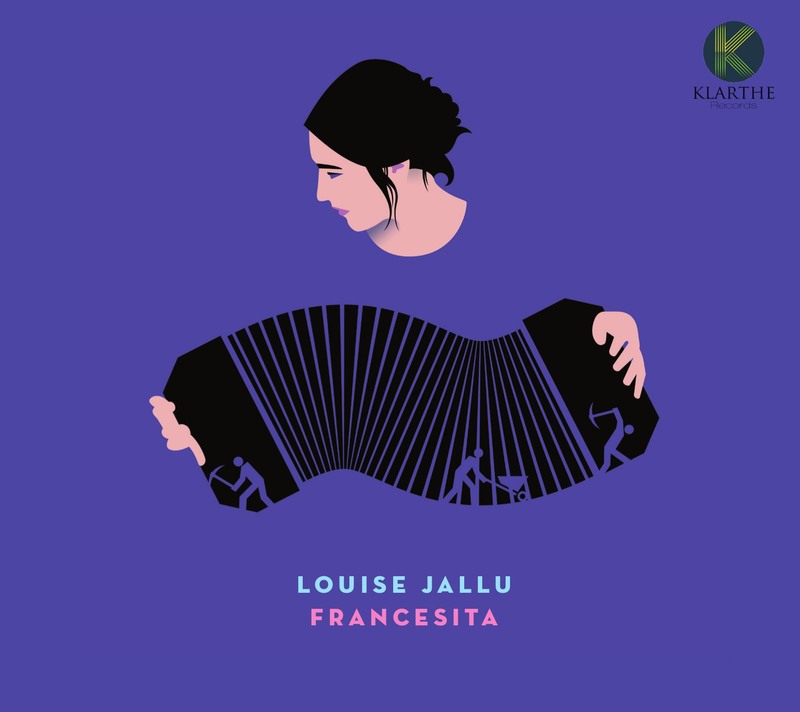 "An amazing album is Francesita for Louise Jallu, this very young bandoneon player – so charismatic and gi ed – this Frenchwoman who o ers us here a frank, sensitive and sometimes distanced view of certain themes written by one of the princes of the Tango, Enrique Del no (1895–1967), on well-known arrangements by Máximo Mori, but also and especially on her own arrangements in which I had a great pleasure to collaborate: Francesita, Araca Corazón, La montonera, and particularly Griseta arranged here for two bandoneons and played on this album with the exceptional participation of her mentor César Stroscio. 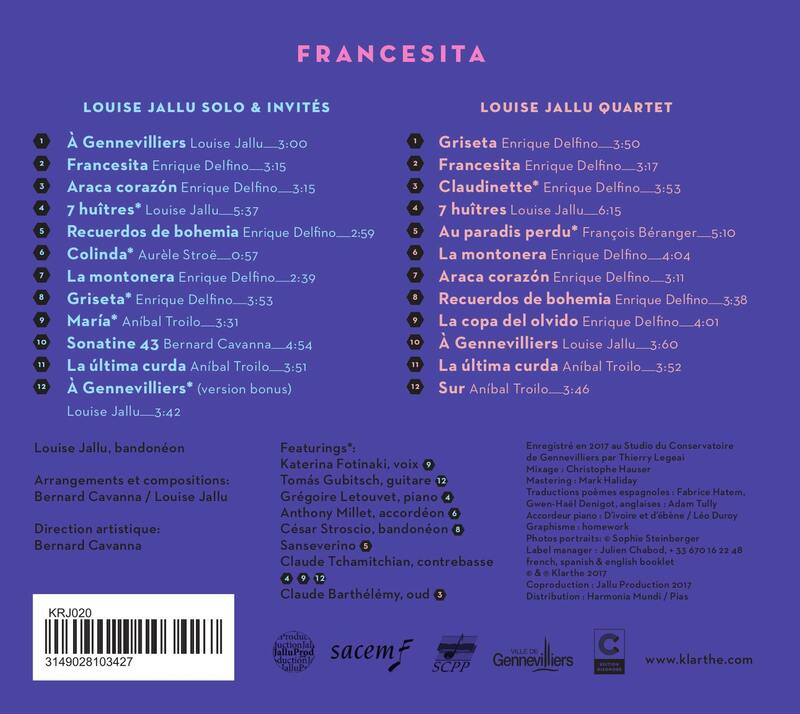 As many titles by Enrique Del no, as many names of women who were victims of the so-called white slave trade, women of all European countries, abducted and condemned to live and die in brothels of the highly male populated 1920s Argentina. It was by reading a book by Albert Londres (La traite des blanches) that this unique project was born."